California Poppy by Herb Pharm works to put me to sleep and wake up refreshed in the morning. I use California Poppy for sleep when I can't fall asleep. No hangover feeling the next morning. 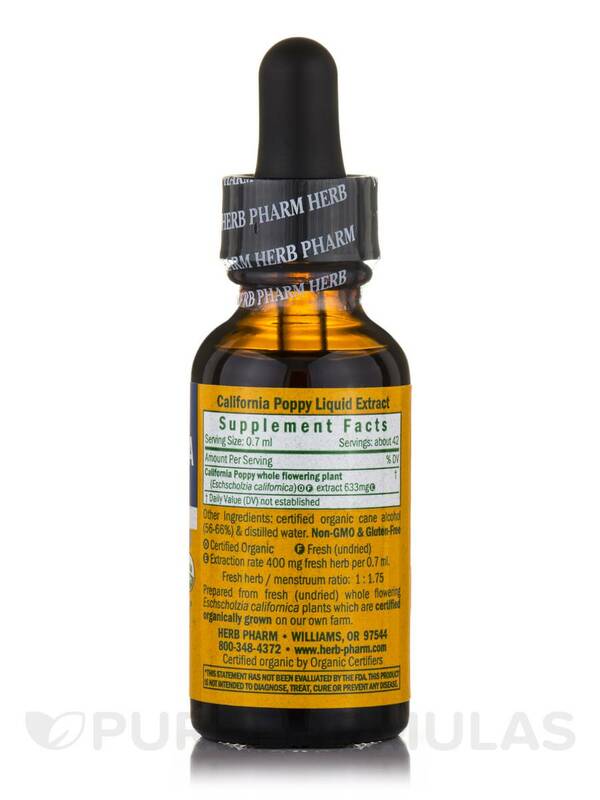 Herb Pharm’s California Poppy Extract is a liquid herbal supplement may help address certain stress-related symptoms‚ such as anxiety or trouble sleeping. Notably‚ the sap of the California poppy has sedative alkaloid compounds that might aid you in getting a good night’s rest. By serving as a nervine‚ California poppy extract may work to maintain normal nervous system function. In addition‚ California Poppy Extract may have antispasmodic and muscle relaxing properties; as a result‚ this supplement may work to alleviate some signs of mild cramps. Moreover‚ several Native American tribes have used the California poppy to help address certain symptoms associated with minor pain; this may be due to the herb’s potential to stimulate your brain’s opiate receptors. 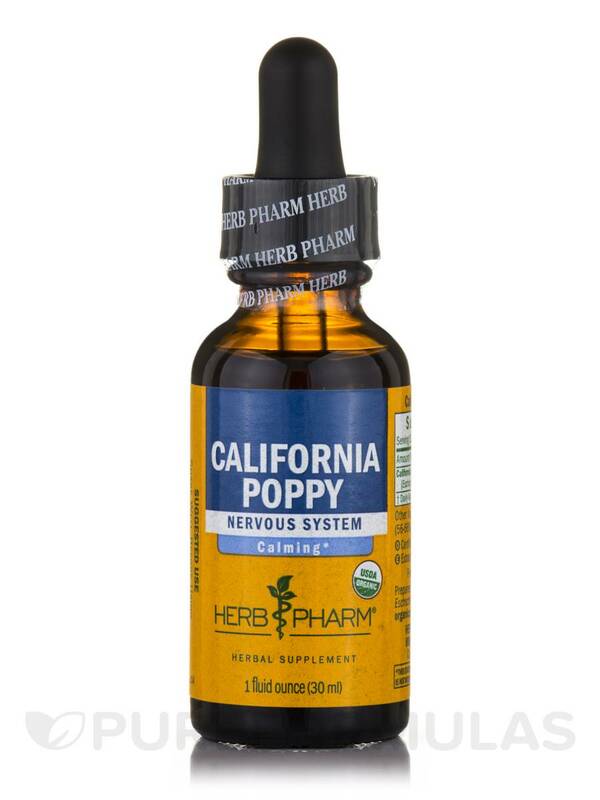 Every one-ounce bottle of California Poppy Extract by Herb Pharm is prepared with fresh California poppy (eschscholzia californica) roots‚ leaves‚ and flowers that are harvested by hand from plants that have been certified as organically grown. 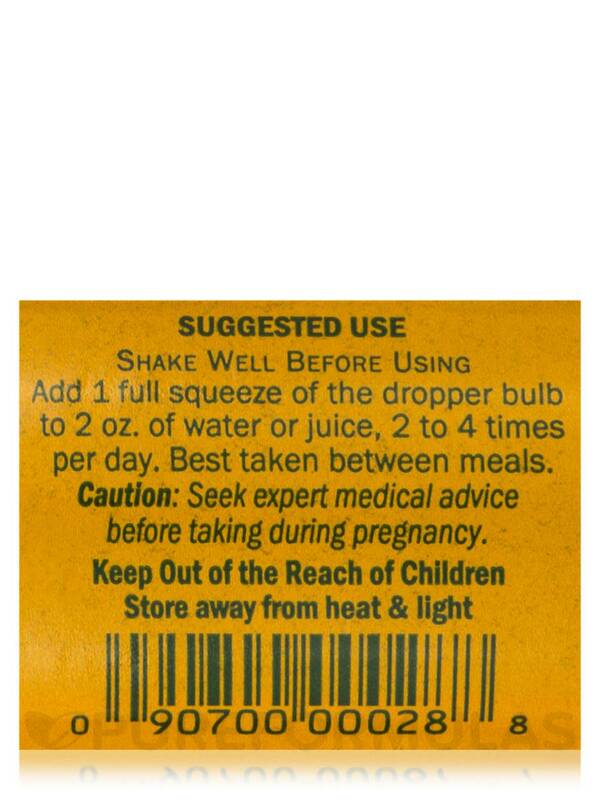 Take up to 40 drops two to four times daily. (E)Extraction rate 400mg fresh herb per 0.7ml. 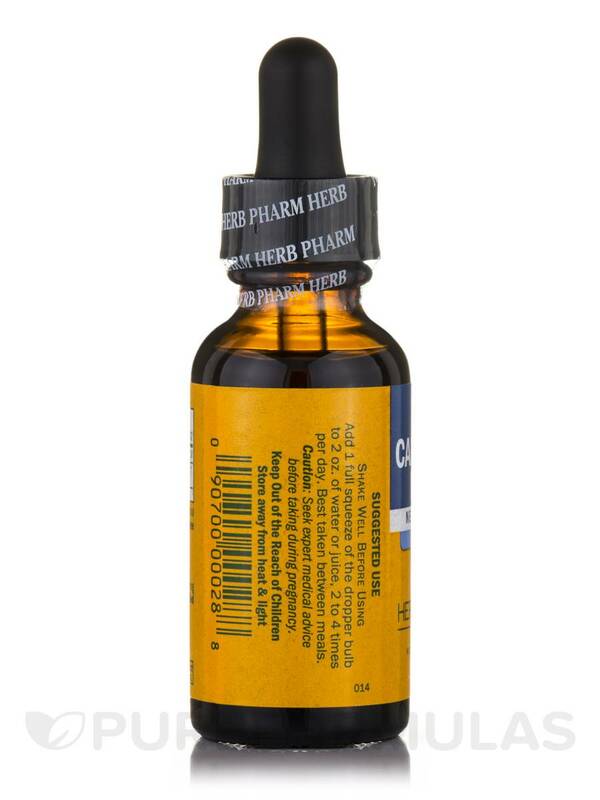 California Poppy by Herb Pharm gives me fast relief for anxiety. Because it's made by Herb Pharm I know it's the best quality. Price is great. It works as it should. Quality of product is excellent.! California Poppy by Herb Pharm really helps you relax and let go of daily tension + stress. 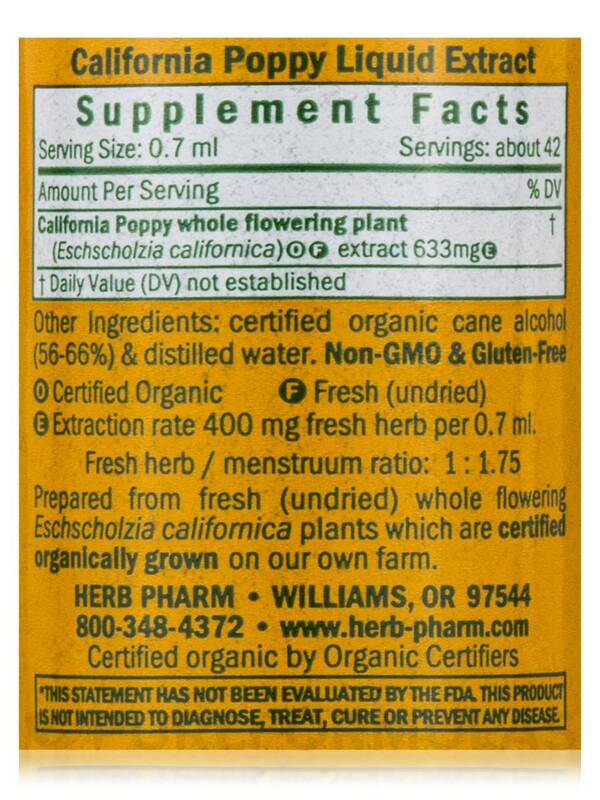 I ordered California Poppy There is a statement: CALIFORNIA PROPOSITION 65 WARNING: This product contains a chemical known to the state of California to cause cancer, birth defects or other reproductive harm. What kind of ingredients in California Poppy contains a chemical known cause cancer? Hi Ludmila, Proposition 65 is a study that the state of CA did to inform their residents of some ingredients (more than 800). All products sent to the state of CA gets this message on all the items unless otherwise directed by manufactures. It does not mean that any of the items have any chemical that will cause cancer or birth defects. You can contact the manufacture for more details whether or not it has any of the ingredients in it. All manufactures are aware of Proposition 65.